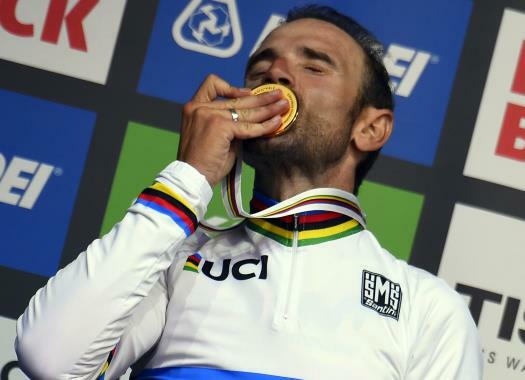 Movistar's Alejandro Valverde is set to start in the 2019 edition of Dwars door Vlaanderen. The World Champion's participation has been confirmed by the organisation of the race. This will be the third participation of the Spaniard in the race after 2014, in which he finished in the 36th position, and 2018, where he finished in the 11th place. Valverde will also start in the Ronde van Vlaanderen. "After the Volta a Catalunya, Alejandro Valverde comes to our race, after which he will also ride the Ronde van Vlaanderen and the Amstel Gold Race," said Dwars door Vlaanderen organiser Carlo Lambrecht during the presentation of the 2019 edition of the race. "All the WorldTour teams start in our race. Then we have seven wildcards that we can give away. Mathieu van der Poel has already stated that he wants to start in the race. If someone states that, then we will naturally consider their teams for an invitation. We would also like to have Wout van Aert." Dwars door Vlaanderen will take place on the third of April of 2019.